The results are in for March! This month’s category for our contest series was grilled veggies. We felt this would push our fellow pelletheads to think outside the box since most resort to grilled meats. Although after looking over the submissions, you all proved us wrong! This contest was clearly no match for our talented pellet grilling community. That being said, we want to take a moment to thank everyone who submitted their recipes. It was a tough decision as always, but the good people of MAK have chosen a winner. 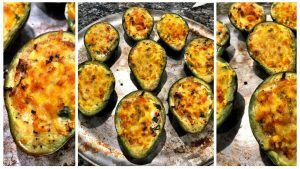 The Avocado Omelet Boats. 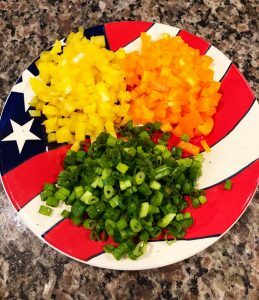 The March Contest Winner is Robb Walters’ Avocado Omelet Boats! Preheat MAK Grill to 400°F. Slice each avocado in half lengthwise, removing the pit. 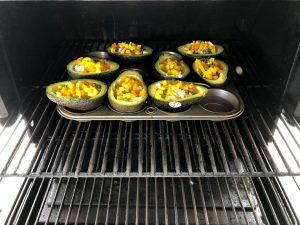 TIP: Use a muffin tin to hold the avocados upright when preparing/cooking. With a spoon, scrape out enough avocado to form an avocado boat. Gently pour one egg into each “boat,” holding back about half the egg white as it will overflow. Cook for approximately 15 minutes. At that point, sprinkle with cheese if desired and cook for another 5 minutes. Remove when consistency of eggs is to your liking. Top with sour cream, hot sauce, or whatever you like and ENJOY!